Formed in Bergen, Norway, in the late ’90’s by guitarist and vocalist Rolf Edvardsen and bassist Truls “Biff” Eriksen who, wanting something different from the pop and metal of their previous bands, turned to psychedelic progressive music as epitomised by bands such as KING CRIMSON, PINK FLOYD and 13th FLOOR ELEVATORS. Joined by two brothers Thomas and Øyvind Grønner on drums and organ/guitar, respectively, BRIMSTONE married high quality song writing to high energy live performances and quickly became much in demand on the underground psychedelic /prog network, both at home and abroad, thanks to their own special brand of “prog-a-delic space rock”. 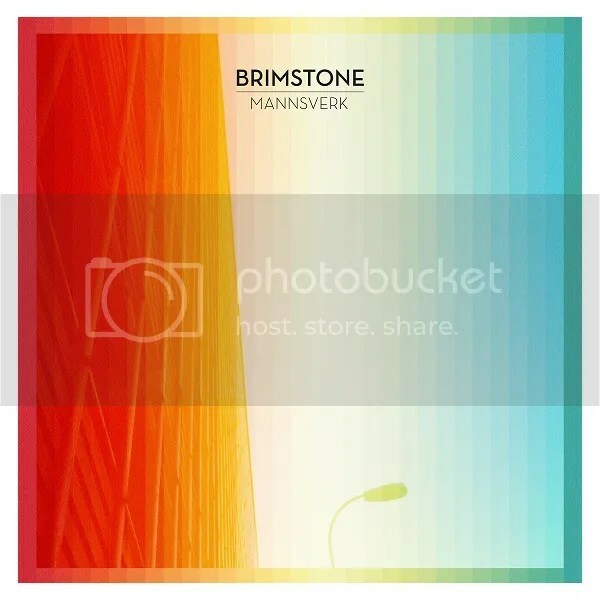 Under their original name of THE BRIMSTONE SOLAR RADIATION BAND, they released the “Going Out” EP in 2002, followed by the full-length albums “Solar Radiation Band” in 2004, the country- tinged “Solstice” in 2005, and their first release on Karisma Records, the multi-instrumental “Smorgasbord”, in 2009. “Mannsverk” finds the lineup back as the original 4-piece and recording in their own studio, using original vintage equipment to enable them to get the exact sound they want. A sound that includes the use of instruments as varied as flutes, saxophones, accordions and violins, as well as vocal choirs, to create a strong late 60’s/early 70’s vibe. With many of the songs coming in at between six and twelve minutes, BRIMSTONE have used their considerable musical skill to avoid the trap of boring solos and fruitless jamming – effortlessly fusing Biff’s thundering bass lines with Thomas Grønner’s relentless jazz- grooves, whilst Rolf Edvardsen’s vocals and guitar fit perfectly with Øyvind Grønner’s arsenal of organs, pianos, mellotrons and synthesizers.